Best Outdoor Toys for Tweens - 16 Fun Toys to Coax Them Off the Couch! The best outdoor toys for tweens are the ones that get them away from whatever screen they’re gazing at, am I right? Between their computers, tablets, phones and the television, tweens and teens spend hours a day sitting and gazing…and sitting some more. To help you get the tween on your gift list off the couch and outdoors, we’ve gathered the best outdoor toys tweens are loving right now. We’re sharing some new toy releases for 2017, plus some old favorites that are still popular among 8 to 11 year-old kids. 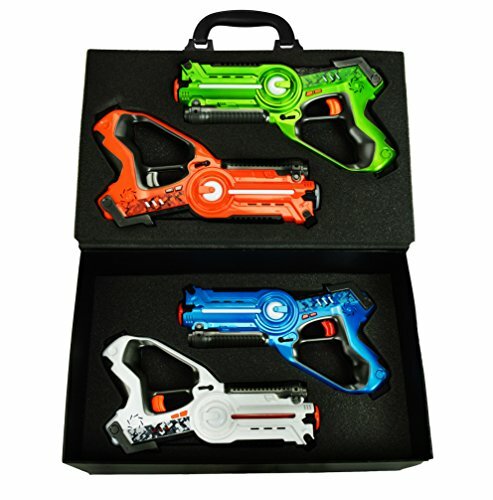 You might even be tempted to pick up a set of laser tag blasters for yourself and join in the fun! The links below take you to Amazon so you can check prices and reviews for each toy. They are a sort of a cross between Heelys (shoes with wheels built in) and strap-on roller skates, only they are easier to control than the former and look waaay cooler than the latter. 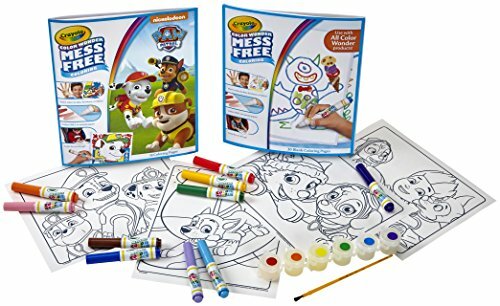 Take a look at the pop-up video below to see how much fun these are. You’re going to want to borrow these babies for your next trip to the mall! Skateboards are so 1980’s. I mean, why roll when you can hover? But you might be wondering how hoverboards work, exactly. 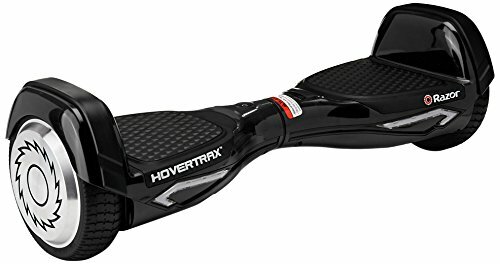 Check out the demo video and reviews on Amazon and you’ll see why the Hovertrax 2.0 is one of the 2017 best outdoor toys for tweens! I know you’re thinking, “Get there faster – on a POGO stick?” But don’t knock it till you’ve tried it! Tweens can give their finger muscles a rest and work their leg muscles with one of these. They’re a blast at parties, where tweens can have Pogo competitions for the best tricks or the most bounces. This particular Flybar brand is a big seller because it has a comfortable foam covering and a wider tip for better stability. Don’t forget to pick up a Pogo counter, too! This Hoverball is cool because kids can play with it indoors or out. It needs to be on a hard surface, like tile or concrete, but is easy to maneuver and a fun twist on a normal soccer ball. 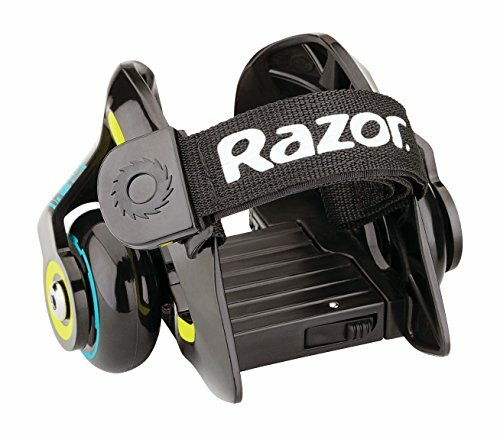 It also lights up so is great for playing outdoors after dark. 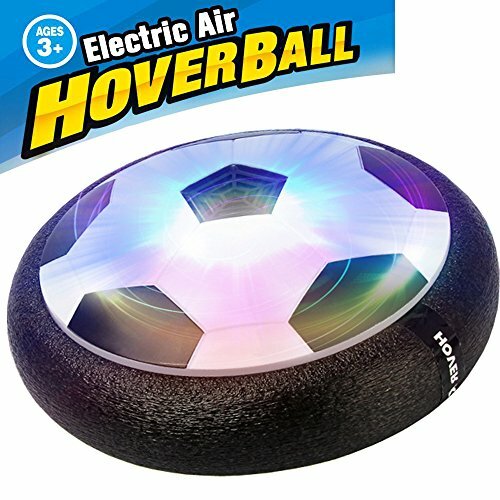 For a few dollars more, you can get a Hoverball set here, which includes soccer goal nets and stickers for kids to decorate their Hoverball if they want to. To see the Hoverball in action, check out the reviews with videos on Amazon. Tweens can practice their archery skills with this Zing Air Z Curve Bow. This set is neat because it includes two kinds of arrows. One has a foam suction cup on the end so it will stick to the target (Like the Bullseye target below). And the other two have a rubber ball tip for long-range shooting, so they bounce back to you when you shoot them against a wall or fence. If you’re looking for some good outdoor Christmas toys ideas, this is a great one for the price! A good ‘ole bball hoop is a great way to lure tweens outdoors, plus mom and dad can join in for some family fun. 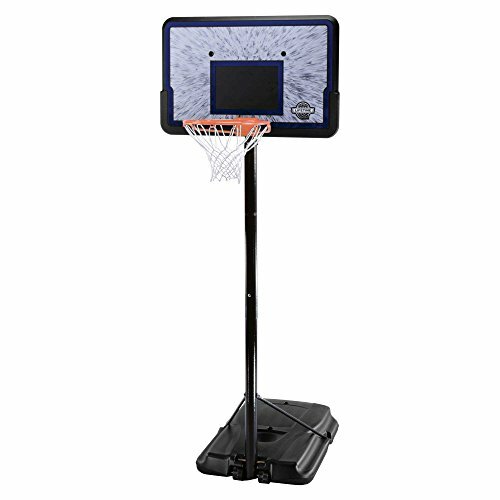 This toy is a simple, popular classic and makes our list of the best outdoor toys for tweens because shooting hoops will always be a fun pastime for kids. For more tween gift ideas, check out our Top Toys for Tweens gift guide with 35 of the hottest toys, gadgets and gifts tweens are loving in 2017! First off, you pronounce this “coochie,” like what Charo says. 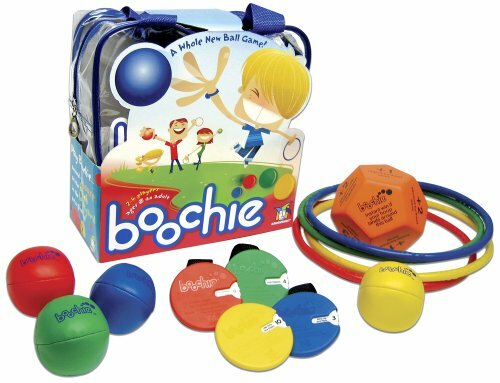 Boochie Ball is like a cross between Simon Says and Croquet…sort of. Kids have to land their bean ball and hoop as close to the Boochie Ball as possible. Sounds simple enough, but there’s a tracker players wear that gives crazy throwing challenges, like stand on one foot or hop up and down. This is a fun outdoor game tweens can play in a group, so it’s great for parties or family gatherings and really gets everyone involved. Remember “Just you and me and a Frisbee” from the early 80’s Wham-O commercials? No? Okay then. 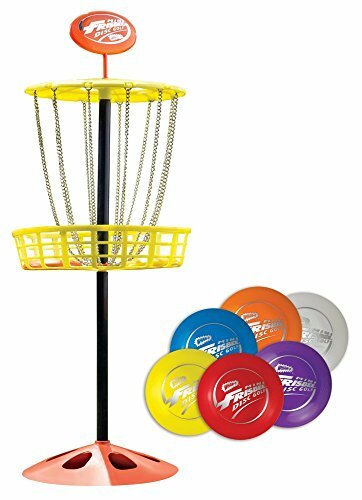 The point is, Wham-O is still making fun outdoor games for tweens and teens and this Frisbee Golf toy is one of them. What’s great about this toy is it’s pretty compact so you could use it indoors or on a patio as well as outdoors, which is perfect to keep kids busy when the weather is bad. Plus, it’s a simple game that kids as young as 5 could play, yet fun enough that adults would like it too. The Blast Pad is like the strong man carnival game, only tweens can send a Nerf-like rocket sailing into the sky instead of just ringing a bell. It’s easy to setup and use, kids just jump on the pad and it shoots air into a tube and propels the missiles upward. 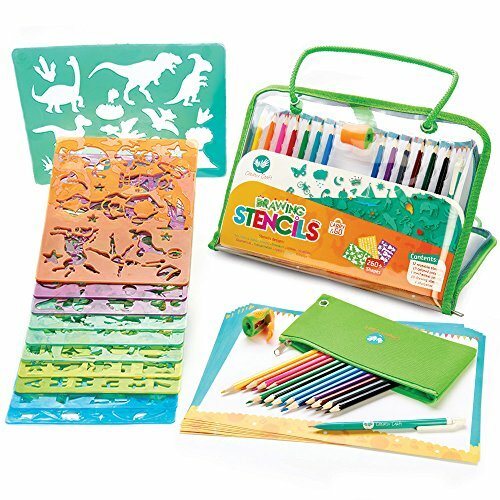 The really convenient thing about this toy is that the pad which the pieces fit into is also a handy carrying case to keep all the pieces together. That is, as long as you can find them. Speaking of which, you might want to pick up the refill pack of missiles with this one…just in case. The EzyRoller is unique because there are no pedals. Kids move their legs back and forth, putting pressure with their feet on the foot bar and that’s how it propels forward. 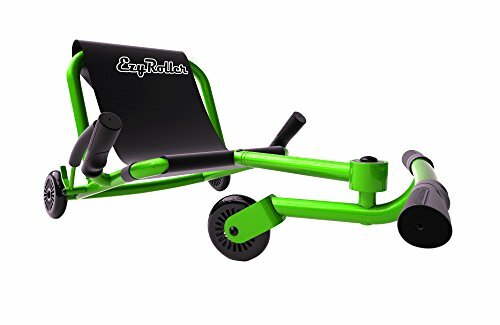 Take a look at the demo video and all the reviews on Amazon and you’ll see the EzyRoller is one of the best riding toys for older kids on the market! Did I mention it comes in a bunch of cool colors too? Since it sits low to the ground, you might want to pick up a safety flag for it (you can find them on Amazon here). And you can also pick up spare tires for it on Amazon here (they’re pretty cheap). Tweens love the Crazy Cart! 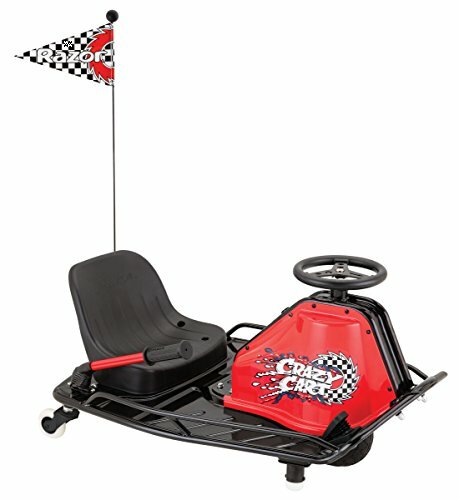 They can drive it like a go-cart, or easily put it into Crazy Cart mode and do spins, drifts and cornering. The battery life holds our for a surprising 40 minutes on continuous ride time and it can get up to about 12 mph. You have to see it in action to appreciate it, so take a quick look at the pop-up video below. The Space Scooter came over from Europe last year and won all kinds of top toy awards. This innovative riding toy for older kids uses a teeter-totter motion to propel it forward – No battery required! 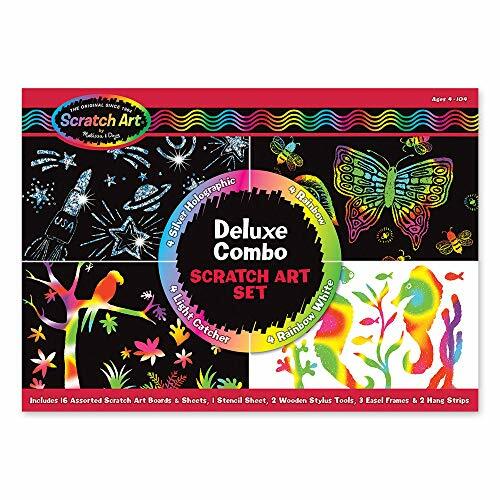 If you buy this for a tween on your list, you may want to borrow it because it’s a heck of a workout for adults! Kids love it though and it’s super convenient because it folds up for easy portability and storage. 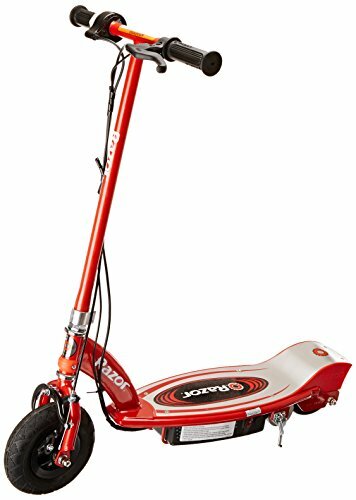 The Space Scooter was on the best outdoor toys for tweens list last year and definitely deserves to be here again this year! 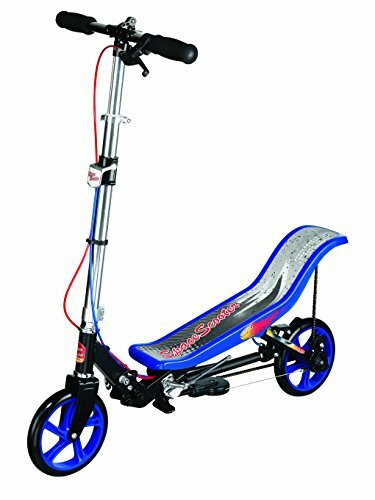 Traditional electric scooters are still popular riding toys for older kids and make great gifts for tweens. Kids will love zooming around the neighborhood on their E100! 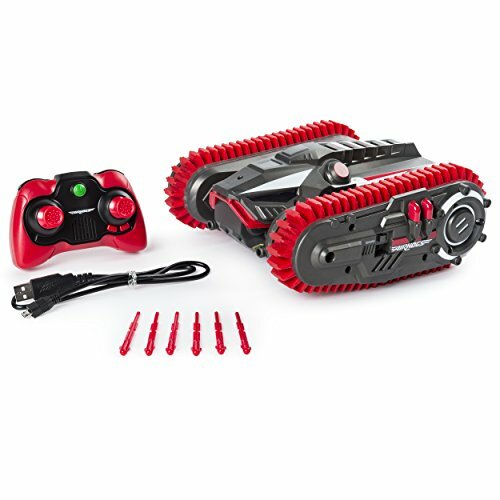 Any list of the best outdoor toys for tweens always include an Air Hogs RC toy! This one is a brand new release and features the ability to transform into a cool-looking robot that can handle any terrain. It’s self-balancing and can even fire missiles while it’s trudging through the backyard. You can watch the video on Amazon to see it in all its glory. Any tween who enjoys RC vehicles is going to love opening this outdoor Christmas toy! What better way to get tweens off the couch than a rousing game of laser tag? This set comes with 4 taggers and kids can set them to play teams or every man for himself. The blasters have speakers and a health meter which notifies players if they’ve been hit, so no need for a bulky vest. You’re going to want to claim one and join in the fun! Sometimes the simplest things can turn out to be the best outdoor toys for tweens. If you’ve never seen the commercials for Rocket Copters, check out the video short on Amazon. 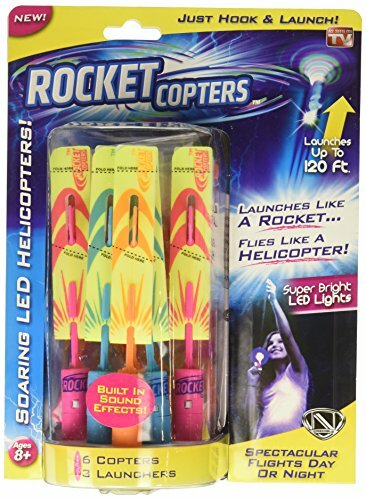 They’re LED lighted rockets that you launch with a rubber band launcher and shoot up as high as half a mile! 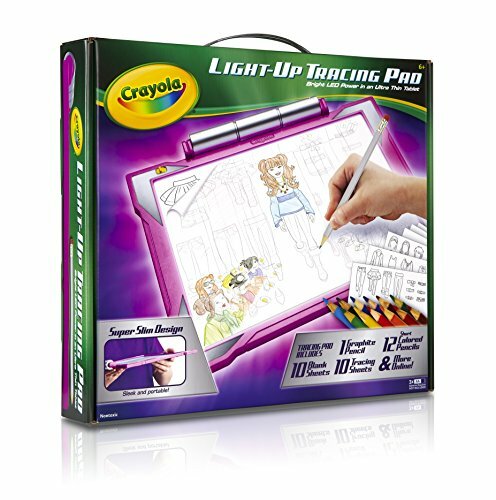 They’re great on camping or beach trips or just for kids to have fun after dark. And speaking of outdoor Christmas toys, these would be cheap stocking stuffers, because you could split the pack up and put one launcher and two rockets into each stocking. Brilliant, right? I hope our toy suggestions help you to find the best outdoor toys for tweens on your Christmas or birthday gift list. One of these is sure to get them off the couch and enjoying the outdoors. Heck, dad might even turn off the game and join them!